Connect with customers on the internet with your very own website design. 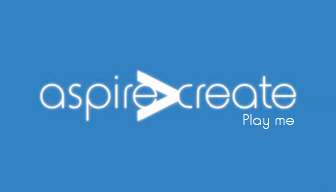 Aspire Create can create a very high-quality design. This includes leaflets, business cards, large format printing and logo design. Aspire Create can create 3D stand design visual for your exhibition work. Video of an event or company for your website is an excellent way to communicate and deliver a message to your clients and customers whether the videos are produced for a internet websites like YouTube or for DVD and BluRay. Graphic designer based in Bristol. 3D exhibition stand design visuals. Contact us for a no hassle quote.